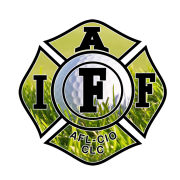 The Firefighters Association is excited to announce our inaugural Firefighters Association Golf Tournament on Monday, October 5th, 2019 at the prestigious and private Golf Country Club. The Firefighters Association is actively involved in the community through many fundraising events that allow us to provide donations to many different non-profit organizations throughout our community such as the Muscular Dystrophy Association, Movember Foundation, High School Football Program and several others. Money raised during this event will allow us to continue to support these organizations year round. We wanted to take this moment to reach out to those around us about a special opportunity to support your local firefighters. The Firefighters Foundation is a 501(c)3 non-profit foundation that supports your local firefighters in the event of death, disability or serious illness. By providing a monetary donation, raffle or silent auction items, you are supporting your local firefighters. All donations of money or goods to the Firefighters Foundation are tax deductible. As our tournament approaches, we look forward to selling out a fantastic day of tournament golf, great prizes, and camaraderie. Anything you can contribute would be greatly appreciated. If you are interested in donating or playing in our tournament, please contact the tournament director below. Thank you in advance for your support!